I haven’t said much about Windows 10 here on this blog, but my day job brings me into contact with it quite extensively. 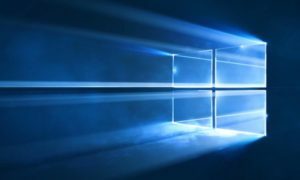 There is a huge amount about the Windows experience that this release improves, but also there are elements of Microsoft’s new approach to developing and releasing it that are problematic. Installing Windows 10 across a variety of devices, it is striking just how much less effort is required to source and install drivers. In fact, in most cases no effort is required at all! Aside from the occasional minor frustration of bloated drivers that are desperate to add startup applications, this makes such a positive difference. Unlike in the past, you can typically just install Windows, connect to a network, and everything will work. This is particularly notable in any environment where you have a large number of devices with anything more than a little bit of hardware diversity. Previously in an enterprise environment, hunting for drivers, extracting the actual driver files, removing unwanted ‘helper application’ bits and building clean driver packages for deployment was tedious and wasteful of time. Now, much of the time, you let Windows Update take care of the drivers for you over the network, all running in parallel to the actual provisioning process that you have configured! There are numerous other pockets of the operating system where there really feels like there has been a commitment to improve the user experience, but from my “world of work” experience of the OS, this is the most significant. It’s true as well that many of the criticisms you could make about past versions of Windows no longer apply. I guess that the coalescing of monthly Windows Updates into a single cumulative update helps significantly with the ‘236 updates’ problem with (and atrocious performance of) Windows Update in 7. However, Microsoft’s recent history of updates causing issues (the recent issues with KB3163622 and Group Policy, for example) combined with the inability to apply updates piecemeal leaves some IT departments reluctant to apply the monthly patch. The result, if Microsoft continues to experience these kind of issues, or doesn’t communicate clearly about backwards-incompatible changes, is more insecure systems, which hurts everybody.